Does your commitment line up to what you say you want? Once you choose to be ALL IN! Being ALL IN takes sacrifice. Commitment takes effort. You can’t have one foot in and truly maximize your God given talent. You want to fully live then fully commit! You want to get then you gotta give… COMMITMENT! 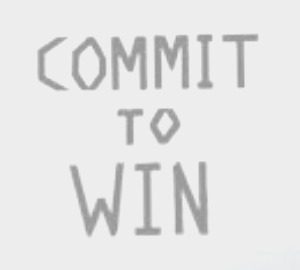 What are you truly committed to in life? Everyone wants to WIN but few are willing to be ALL IN. I would hate to live and die average because I chose not to COMMIT! Some people have never thrown their entire self in the ring. Some of us have never played an entire game. You can’t expect to get something that you are not willing to give. You’ve never seen what you can fully be because you haven’t FULLY thrown yourself in… ALL IN! But if you haven’t seen them come to pass yet it is probably because you haven’t FULLY jumped ALL IN! You show up in your job…but your not ALL IN! You say you want to be wealthy…. but you haven’t gone ALL IN! COMMIT to being THE BEST YOU! You walked down the aisle and said I do but you still haven’t full jumped ALL IN to the marriage. You show up to church on Sunday but you aren’t ALL IN! COMMIT TO BEING ALL IN! Are you casual or COMMITTED? JUST COMMIT and it will be! If you would really COMMIT yourself who could you truly be? Half IN and you’ll get half back. Are you willing to pay the cost to be committed? To be ALL IN? GREATNESS is reserved for those that COMMIT. 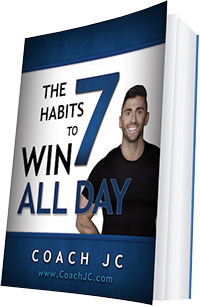 Being ALL IN is how you WIN! If you have a dream and you commit to it, it will come to pass. You don’t win by chance. YOU WIN ONCE YOU ARE ALL IN! 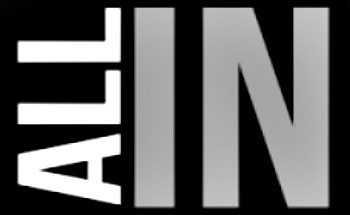 What area of your life are you committed to being ALL IN? 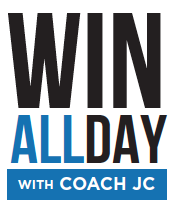 You want to WIN then be ALL IN! Your return is determined by you being ALL IN. And what God started he is faithful to finish. Are you willing to be COMMITTED?